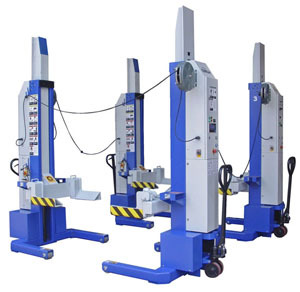 Our heavy-duty mobile lifting system along with optional sets of accessory support stands will accommodate multiple lift bays with one lift system. Robust yet easily maneuverable mobile columns can be operated on almost any solid surface, indoors or out. Models are available in 14K and 19K capacity (per column) for a maximum capacity of 152,000 lbs. Models include wireless technology, touch screen controls, integrated battery and charging system and adjustable wheel carriages. 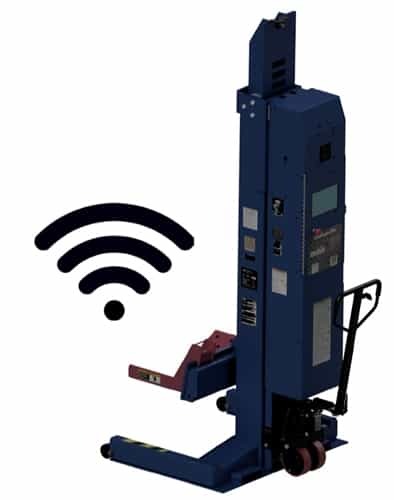 Wireless operation system allows for a clutter-free work area without cables to connect, navigate around, rollover or replace. 12 radio frequencies with a wide channel range (100 to 120) for each frequency prevents radio noise from interrupting service. 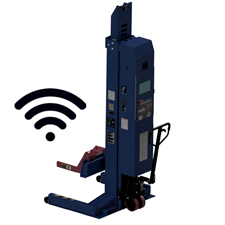 Android-based integrated touch screen control console provides easy-to-use control and precise measurements of lifting height and lifting weight per column. *CLHM Series Wireless/Battery Operated Mobile Columns available in 2, 4, 6 and 8 column configurations with 14,000 lb and 19,000 lb. per column capacity. 1 Multiply number of columns by "Lifting Capacity Per Column" to calculate overall lifting capacity of configuration. Challenger Lifts, Inc. lifts are guaranteed to the original owner. 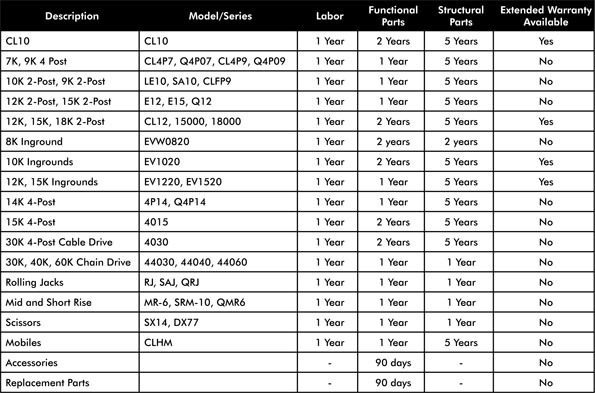 CLI shall repair or replace, at CLI option, for the full warranty period those parts that prove upon inspection to be defective and pay for reasonable costs of transportation and/or labor for replacement of said parts for the warranty period stated below. This warranty shall not apply unless the product is installed, used and maintained according to CLI’s specifications set forth in CLI’s installation, operation and maintenance instructions. Use of any unapproved parts or accessories will void your warranty. This limited warranty extends only to the original purchaser and is not transferable. 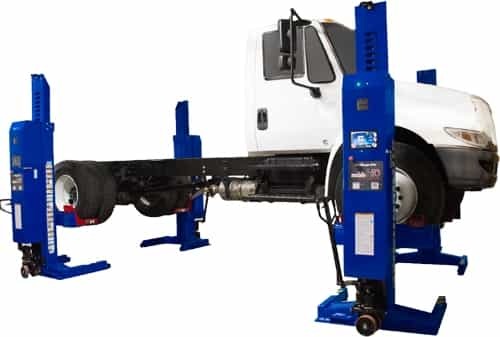 This warranty is valid only if the product has been registered with Challenger Lift, Inc., www.challengerlifts.com. This warranty does not cover normal maintenance or adjustments, damage or malfunction caused by improper handling, installation, abuse, misuse, negligence, carelessness of operation, or normal wear and tear. In addition, this warranty does not cover equipment when repairs have been attempted or made by anyone other than a CLI authorized service representative. This warranty is exclusive and is in lieu of all other warranties expressed or implied including any implied warranty of fitness for a particular purpose, which implied warranties are expressly excluded. No employee, agent, representative, dealer or other person or entity is authorized to give any warranties of any nature on behalf of CLI. The remedies described are exclusive and in no event shall CLI, Inc. be liable for special, consequential or incidental damages for the breach of or delay in performance of the warranty. This warranty shall be governed by the Commonwealth of Kentucky, and shall be subject to the exclusive jurisdiction of the Court in the Commonwealth of Kentucky in the County of Jefferson. Functional parts are any wear items, as defined from time to time by Challenger Lifts. Examples include power units, cylinders, sheaves, hoses, cables, controls, etc. and may differ depending on the model of lift. Structural parts are items, as defined from time to time by Challenger Lifts, Inc. that are not Functional Parts and include items like carriage, columns, arms, runways, plungers, etc. and may differ depending on the type of lift. 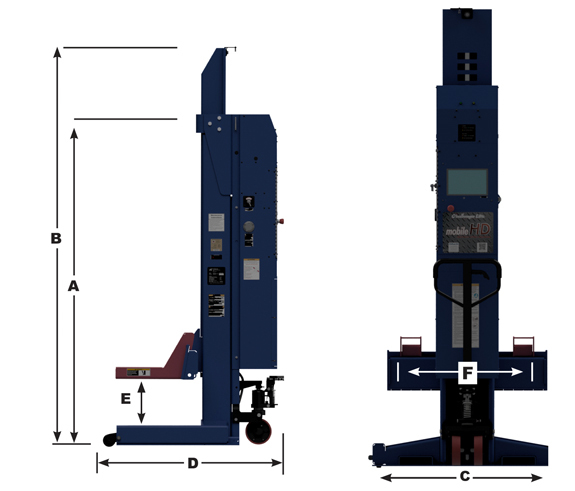 Hydraulic operated unites provide heavy duty lifting capacity from 28,000/38,000 lbs. (set of 2) to 112,000/152,000 lbs. (set of 8) enabling heavy-duty lifting from small cars to large trucks, transit, and municipality vehicles. 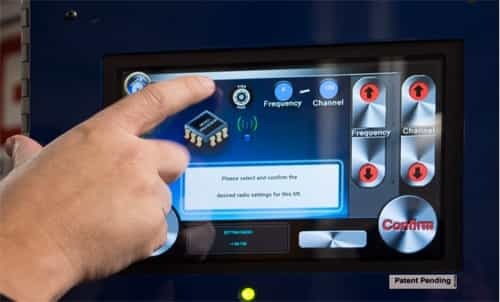 Integrated touch screen control console provides easy-to-use and precise operating. Precise balanced design, heavy-duty tow handle and spring loaded wheels make moving and aligning individual lift units simple and easy with little effort.